W.Bro Andrew Robinson (centre) who was re-installed as Worshipful Master of Randalstown Masonic Lodge No 598, in Randalstown Masonic Hall on Saturday afternoon, is pictured with R.W. Bro Ivan Gillespie, Provincial Assistant Grand Master of Antrim, together with Lodge Officers and members. Included are Bro R. Wilson, Senior Warden, Bro S. Dines, Junior Warden, W. Bro John Lowry, secretary, V.W. Bro John Millar, treasurer, and W. Bro A. Millar, Director of Ceremonies. 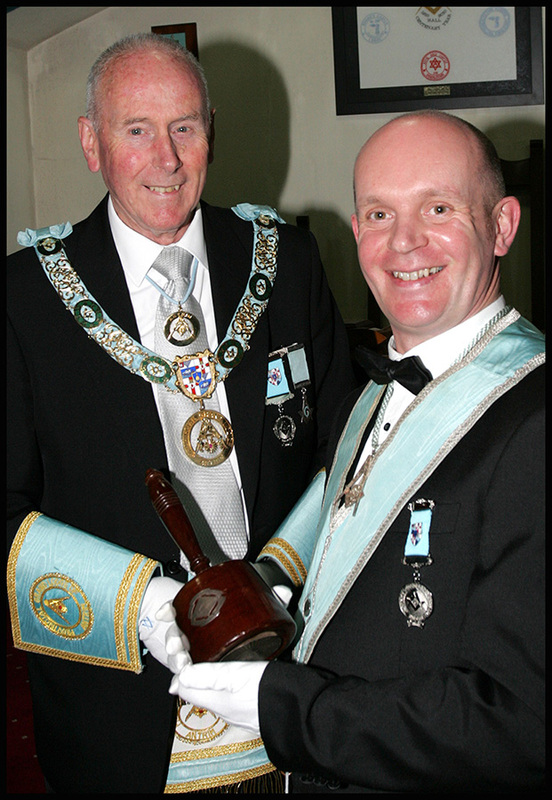 Newly installed Worshipful Master of Randalstown Masonic Lodge No 598 W. Bro Andrew Robinson with R.W. 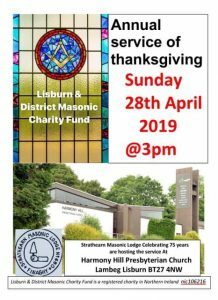 Bro Ivan Gillespie, Provincial Assistant Grand Master of Antrim.